Happy DieCember! 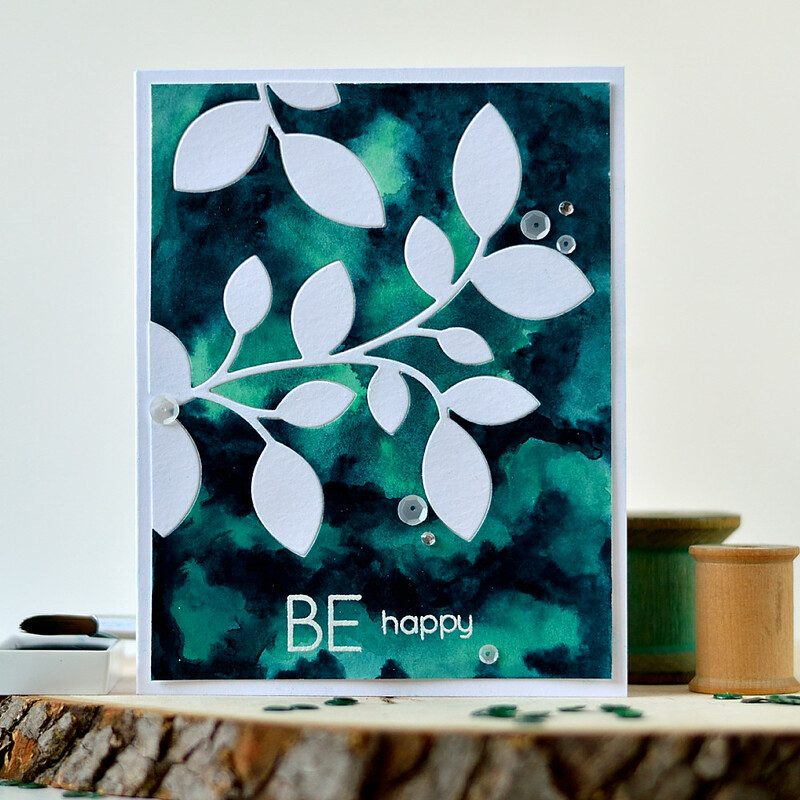 Today I want to share two cards made using new Simon Says Stamp Loop The Loop Border Die. I was evidently in a kraft mood when was making them. 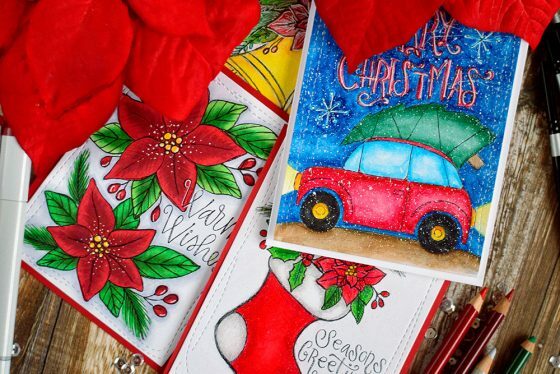 Sharing new Simon Says Stamp Suzy’s Christmas prints colored using 4 different mediums. 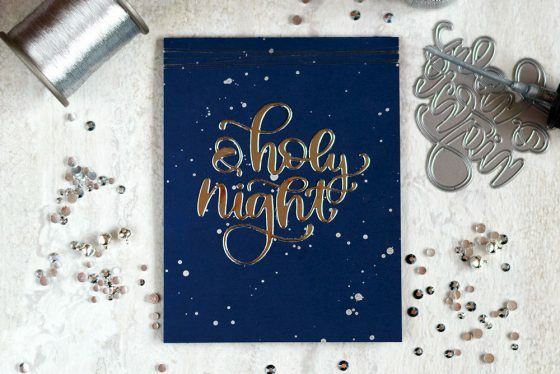 Sharing a quick and simple card with new die from Simon Says Stamp – O Holy Night. STAMPtember is gaining momentum and today is another exciting day. 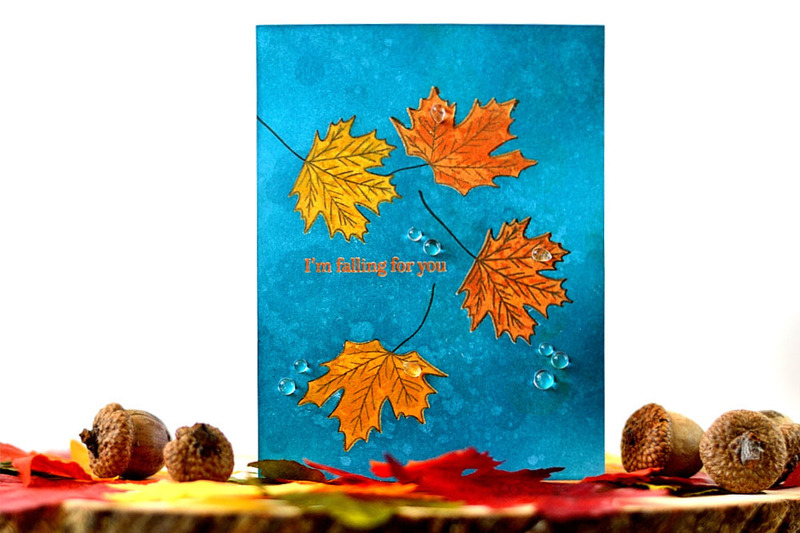 Introducing STAMPtember by Altenew exclusive stamp set – Fabulous You. 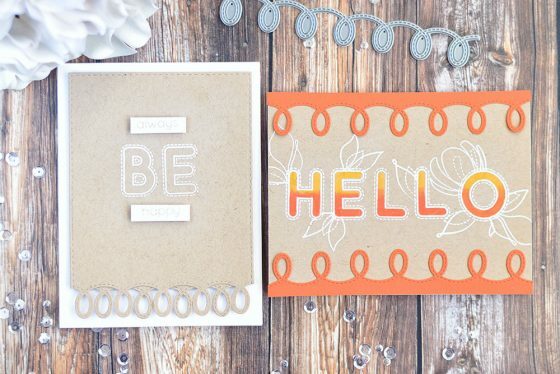 Sharing a simple yet stylish card featuring the new product. 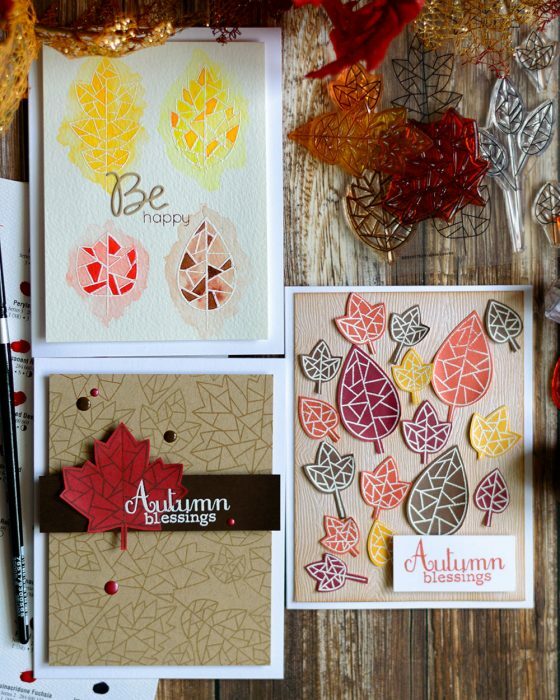 I was lucky to receive some STAMPtember products to play with and today I want to share three cards made using new Fractile Leaves Stamp Set. This set has a variety of geometrical leaves that can be used in many ways. Whet it comes to coloring there are some coloring supplies which I use on a regular basis, like alcohol markers or watercolors. And sometimes I like to use something not quite unusual. 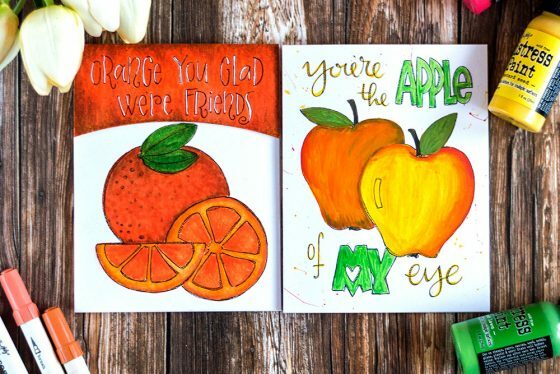 Today I want to share a couple of cards made with Simon Says Stamp Suzy’s Fruit Puns Watercolor Paintable Prints colored with Distress Markers and Paints. Simon Says Stamp new One Of A Kind release is just awesome! 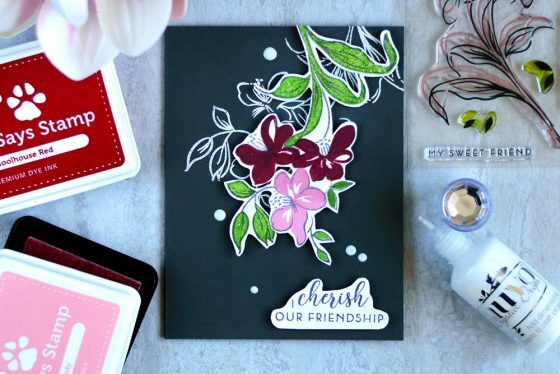 I got lucky to be able to play with Bouquet of Thanks stamp set. 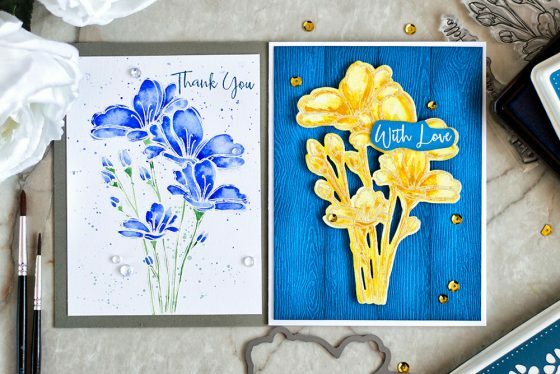 Today I want to share two very different cards made using new Bouquet Of Thanks Stamp Set.